"I've worked with Kathy many times and recommended all my family to her. We are all very satisfied with her skills. She's so hardworking and very ethical. I 100% put my trust in her and her abilities. She has sold and bought homes for me. She has always followed through on her promises. I cant say enough good things. Your experience will be great!" "Kathy was great to work with. She was encouraging and positive, even when we were giving up hope. The market was so tough. She knew us so well and listened to our needs so closely, that at the end of the day she actually previewed a home for us quietly. Called me up and said, "I have found your home! This is it." My thought was Kathy is nuts, she asked us to get to the home ASAP. Sure enough, 45 days later, we moved in that very home. My point is... she is on her game. She's good at what she does. And most of all, she sincerely cares. She said to us at the very beginning, "My job is to make it happen, so I do not make a habit of ever letting anyone down!" She was right, she came through and found us the perfect home. THANK YOU, KATHY!" "Our experience was amazing. She was so compassionate and heartfelt. She gained our trust in the first five minutes. She got us an amazing deal, negotiated so much better then we ever expected. She always answered her phone, our questions and followed through. We recommend her highly. She made our experience so easy and pleasant." "Kathy, I want to thank you so very much. These last two years have been so hard and we have been let down by so many people. Especially Realtors. I can't tell you enough, how thankful we are to have found you.The moment we met, I knew you were different. You. You were spunky and real. You explained to us things no one ever bothered to do. You were caring. I knew you were compassionate and had empathy. With your patience guiding us, you made things possible again. You gave my husband and myself hope that there are good people who can make a difference. She listed our home and promised to find us another. You made it all happen with the probability being so low. I knew you would. Crazy enough, we believed in her. I know I can not share enough good things about her. She was the only Realtor and we worked with what we were told big agents... very well known... only to find out, they didn't care, they were lazy. No compassion, and guided us with no option or hope. They listed and forgot us. Kathy is what we call 'the quiet storm'! I can see her being the most successful agent of all, if buyers and sellers were as fortunate to reach out to her. You will never regret it! She is a rare Realtor. She is so special in the way she sincerely cares and goes the extra mile. I'm just thankful. We appreciate all the effort and time she gave us. Please reach out to her, just meet her. You will love her and she will get the job done." "Kathy was recommended by another agency for a short sale purchase. Previously I had spent 10 months with another agency with nearly daily communication unsuccessfully attempting a short sale purchase. The house I did purchase with Kathy's expertise needed special attention with Freddy Mac and she had it all arranged in 2 days. The sale went through with absolutely no hitches and it was less than one month until we had possession. Kathy knew the realty side, the Federal regulations side, the local occupancy regulations, and the legal requirements for sale. She made looking for and buying a house a one-morning event. Her cheerful demeanor and going considerably beyond a simple show the house/buy the house approach was greatly appreciated. And because this was a non-redeemed short sale, her compensation was miniscule. From the effort she expended, you would have expected her to be making the normal real estate sale percentage. I would recommend Kathy for any house purchase, and will approach her when the time comes to sell the house." "Kathy was so amazing. She negotiated a deal that I thought was impossible. But she was relentless and continued brain storming until she got it DONE! She is very savvy! Always thinking outside the box. She does not give up." 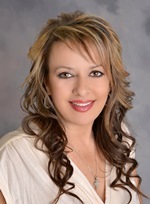 "Kathy closed us a property in 50 days after working with another agent for 4 months. She was wonderful and she made us 100% confident in her guidance. If it wasn't for her we would still probably be looking. I would encourage everyone to choose her, she made all the diffrence!" "She was amazing! She is real and trustworthy. She was a great advocate and made sure we were getting taken care of. I will say this, if I had to have someone to fight on our behalf, I'm sure glad she was on our side. And not the person on the other team. Because she is aggressive and gets the job done!" "Kathy Christo did a GREAT job to facilitate a rent to own transaction between both our clients. The whole process was seamless! Thank you."